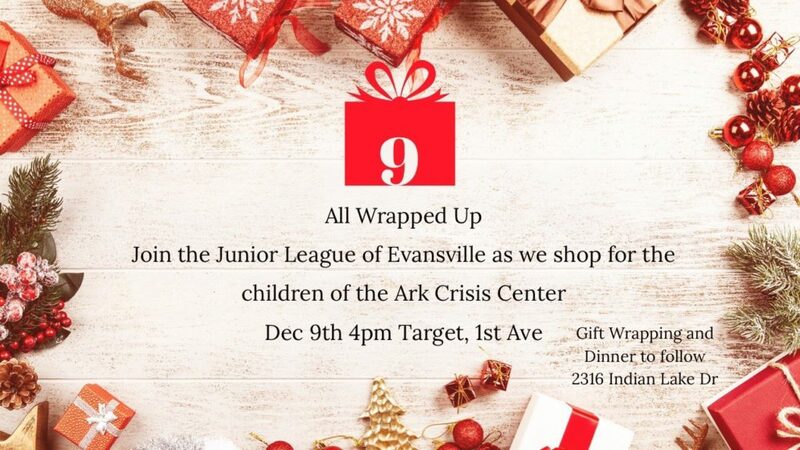 Join the Junior League of Evansville as we shop for the children of the Ark Crisis Center, December 9th at 4:00 PM. Location is the Target on First Avenue, Evansville, IN. Gift wrapping and dinner to follow at 2316 Indian Lake Drive.